Workplace bullying is once again under the spotlight after one Singapore employee wound up in a mental institute following endless taunting. Senior accounts executive Kenny Leong has spoken out about the workplace bullying that eventually landed him in a ward at the IMH (Institute of Mental Health) for a month last year. Talking to the The New Paper, Leong said he wanted speak up about workplace bullying in Singapore. He recalled being hit in the face with a plastic folder by an angry boss during a meeting. He was also subject to derogatory name-calling, with taunts ranging from "woman" to "chao ah gua" (a derogatory term to describe an effeminate man). The "chao ah gua" taunting situation was the worst bullying scenario he’d encountered. He worked at the media company where it happened for three years, before leaving last year. "I had a woman boss who was already, by nature, an intimidating person. "She wanted everything – month-end figures, financial reports, or even a colleague's time chit check – fast and accurate,” he told The New Paper. This would include yelling at him in front of everyone in the department. "She called me names like 'chao ah gua' and 'b**** tortoise'." According to a Jobstreet.com survey conducted in 2012, 24% of Singaporean workers feel that they are bullied at work. Principal psychologist at Work & Health Psychologists, Dr Elizabeth Nair, told The New Paper that victims are often younger people who have just entered the job market. "Chances are they are probably in the first five to 10 years of their career, when they don't know what is appropriate and what is not." The ‘bullies’ can often be staff in middle management, she said. "Middle management is assessed on what it produces. The staff are assessed and appraised based on their output and that is dependent on the people under their charge. "It is almost like they have to pressure the people under them for the work so they do good work. "Along the way, many forget what is acceptable and ethical." University of Windsor assistant professor Jacqueline Power, who has spent years researching bullies in the workplace, gives some tips for HR professionals dealing with workplace bullies. The most important component of any workplace prevention program is management commitment. A well-communicated written policy, including a clear statement about what types of behaviour are unacceptable, can go a long way to preventing problems. Encourage reporting of incidents and have a confidential process for reporting. Ensure there are no reprisals for making a report, and have a clear procedure for investigating and resolving complaints. Help employees understand what bullying looks like and the risks to victims and the workplace. Ensure line managers understand and can recognise bullying so they can take appropriate steps to protect their teams. 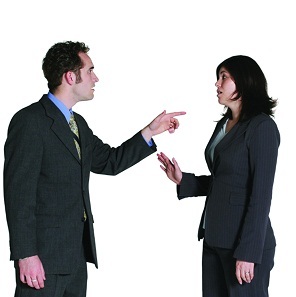 Don’t delay reacting or dismiss accusations that may seem trivial. A small intervention early on can help prevent long-term effects.